Look what my publishers just sent me. 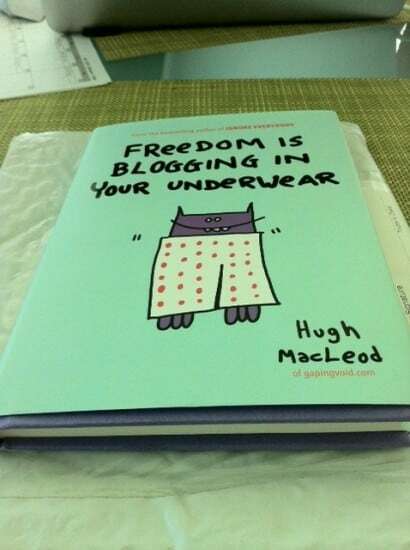 The first hardback copy of “Freedom Is Blogging In Your Underwear” [Kindle version here]. Awwww…. I’m so happy! I love the purple cover… it’s kinda appropriate: It was after reading Seth Godin’s “Purple Cow” that the idea of writing books occurred to me. “That looks like fun, I can do that, I want a piece of that” etc. The book is a love letter to the blog, of sorts. 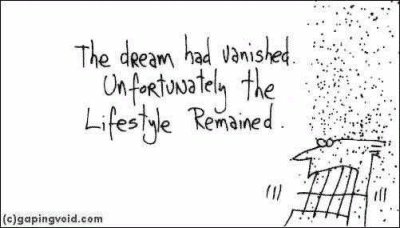 I think blogging matters, I think having your own piece of online real estate THAT YOU OWN YOURSELF (not Twitter, not Facebook, not Google+ etc), on YOUR OWN SERVER that YOU pay for, is important. But it’s an idea that’s kinda been lost in recent years. BLOGGING MATTERS. So I wrote a book about it…. Congrats on the new baby. That’s purple? My monitor is funkier than I thought. Excellent! Congratulations, can’t wait to read it. I can’t wait to read it. I started a blog recently, after reading your first book. It helps to get it the hell out of my head. You’re an inspiration. Thank you.